Lemar is one of the most successful male British solo artists of the last decade… having had seven UK Top 10 singles and selling over two million albums worldwide. 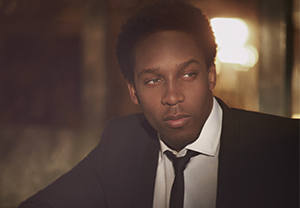 Amongst others, Lemar has shared the stage with the likes of Beyoncé, Lionel Richie, Mary J Blige, George Benson, and Justin Timberlake over the years. In 2016 he appeared as guest support to Robbie Williams and Will Young. His awards include three Mobo awards (2 for Best UK male and 1 for Best Album) and two Brit awards for Best British Urban Act. The Multi- award winning performer released his seventh studio album The Letter last year, recorded at the Legendary East West studios with producer Larry Klein it was his personal homage to soul and was album of the week on R2 and had 3 A list singles. Lemar presented BBC London’s Soul On Sunday throughout the Summer of 2016. He is currently writing his eighth studio album for release in 2017.